Where would you be without your garage door in Arlington TX? Garage doors offer families the convenience and ease that is essential in modern life. However, they can also be extremely dangerous. Numerous garage door related health incidents happen every year. In fact, according to the US Consumer Product Safety Commission’s National Electronic Injury Surveillance System (NEISS), emergency medical services treat up to 15,000 injuries annually. However, there are some things you can do to keep you and your family safe. Follow these safety tips! Make sure your garage door is safe by checking the safety sensors to make sure they work correctly. The purpose of the safety sensors is to stop closing if someone or something approaches the garage door while it’s closing. You can test it out by pressing the button that instructs the garage door to close. But before the door closes completely, put an object, such as a broom in the way of the sensor. If the garage door doesn’t stop closing, something’s wrong. This means you need to get in touch with garage door professionals to repair it. If you have a password to operate your garage door, keep it a secret. If you don’t keep it to yourself, you could leave yourself vulnerable to break-ins. If you have guests who stay at the house or hired help on a job, you can often provide them with one-time or user-specific passcodes. That way, the door can be opened and closed when necessary by other people. But only for a time period determined by you. You can also download smartphone apps for extra security and control over the opening and closing of the door. The garage door may seem like a fun toy for your children. However, it’s important you make it clear that garage doors aren’t toys. Make sure your children know to watch their fingers between the panels of the garage door. It’s particularly dangerous when the garage door is closing. If you have a wall remote control, make sure it is fitted out of the reach of small children. This way you remove the risk of your children playing with the garage door. If your garage door has an auto-reverse function, make sure it works properly. When the garage door comes into contact with something in its path, it should move in the opposite direction. To test to see if it works, place an item, such as some paper towels, in front of the garage door. This way when you press the control button, the garage door should stop closing at the moment it touches the paper towels. If there are any problems with this, get in touch with garage door professionals. If you push in the opposite direction, it should stop moving entirely. If it doesn’t, you need to check the force settings or get in touch with us. 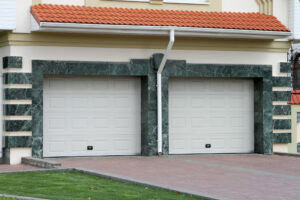 Garage doors are an essential feature of any modern home, but there are also potential dangers. That’s why you need to check if your garage door in Arlington TX meets the above safety standards or if it shows other signs of damage. If there are any safety issues with your garage door, get in touch with us immediately!